First of all, you may need to enable Japanese fonts so you are actually seeing Japanese instead of wonky nonsense characters. There are different ways of doing this depending to your browser, but you're usually going to want to go into Options or Settings or Tools and look for "Encoding." Change this to Japanese (Shift_JIS). That'll usually do it, but if not try the other Japanese encoding options and find one that works. 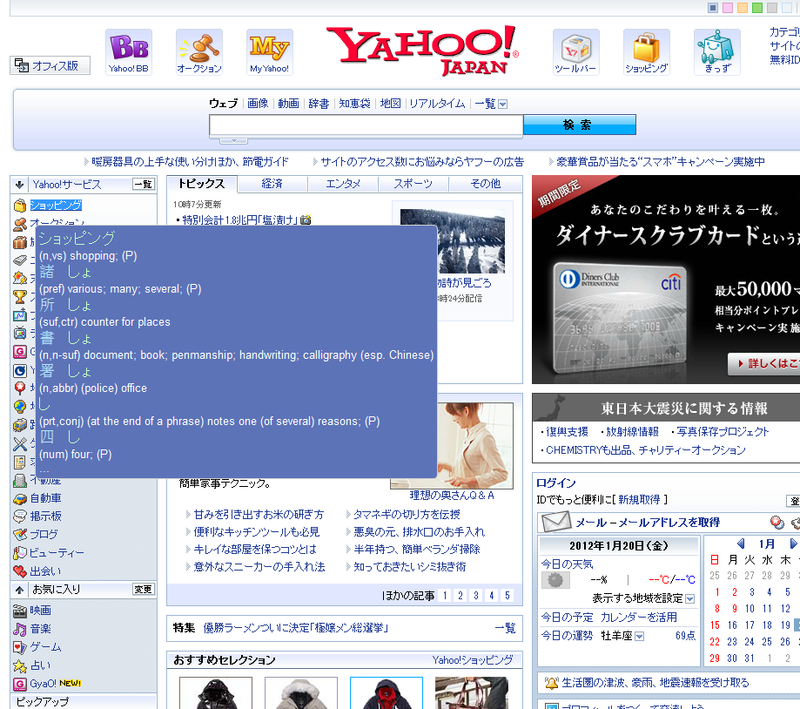 Rikaichan is a Firefox add-on that when enabled will allow you to see the reading and meaning of most Japanese words that you hover your mouse over. Rikaikun is essentially the same thing converted into a Chrome extension. Denshi Jisho is one of the leading online dictionaries that you can use for looking up individual words or kanji. ALC is also highly recommended.